I first picked up an accordion in the early 90s when an ex-girlfriend's mother loaned me one forever. I figured out how it worked, then put it under the bed for several years. Eventually I learned to play a few silly tunes on the thing. I found myself forced to play something more substantial when we couldn't find anyone to play the accordion part in my Masters thesis opera, Opium: Diary of a Cure. I received both my Bachelors (Piano and Composition) and Masters (Composition) from University of California at Santa Cruz. Even after playing in the opera, I still considered myself primarily a pianist and keyboardist. 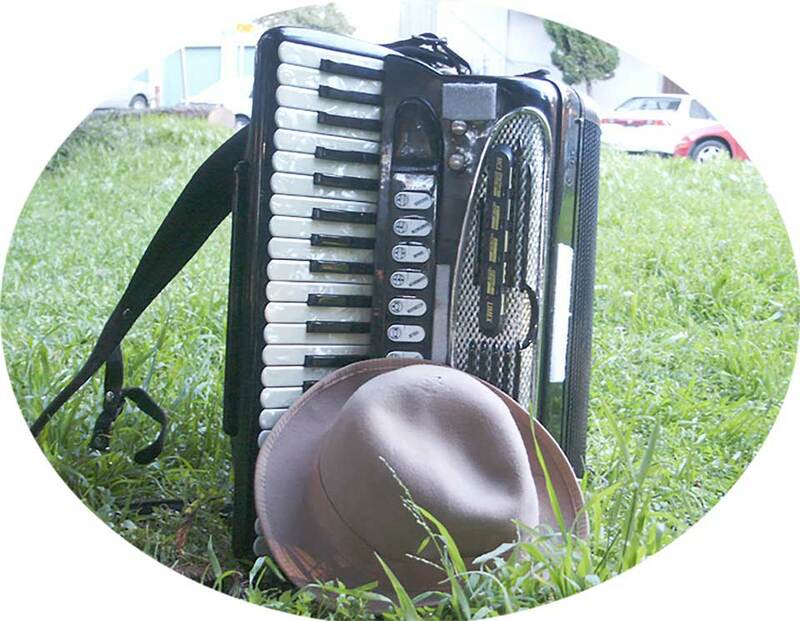 Even though I was only playing the accordion at a basic level, it seemed I would get more gigs on it than piano. So before long, I learned to actually play the squeezebox. Styles I've gotten particularily adept at are Klezmer, French Musette, Polka, Swedish Traditional, Classical, Gypsy Jazz, Balkan music, and more. I also enjoy playing styles one might not expect to hear on the accordion. I have played with Shamalamacord, Polkacide, Red Hot Chachkas, Bistro Moustache, Fishtank Ensemble, and FRED. I have recorded with Mr. Bungle and Estradasphere. I was a founding member, arranger, and vocalist with the Punk Rock Orchestra. I also perform under the moniker DUCKMANDU!